For weeks now, Octopath Traveler was rumored for a PC release. After being leaked by Square Enix recently the publisher finally offiically revealed the port. It's coming to PC this June 7th. Unlike Borderlands 3, The Division 2, and Metro Exodus Octopath Traveler won't be an Epic Games Exclusive. It'll release on Steam. For those unaware, Octopath Traveler is a JRPG where 8 separate protagonists travel together on a specific story. Each narrative is isolated from one another, with the occasional dialogue between characters. It was my favorite game of 2018 and I highly recommend it to any RPG fan. 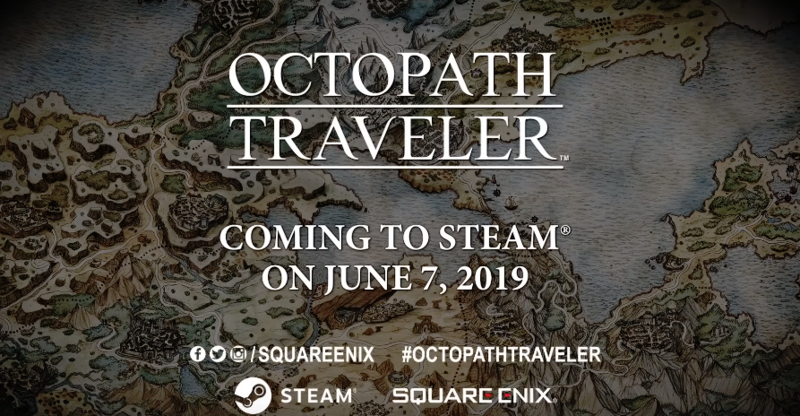 Octopath Traveler is now available for Nintendo Switch and will launch on June 7th for PC. Check out our review here. A mobile title is now in development.